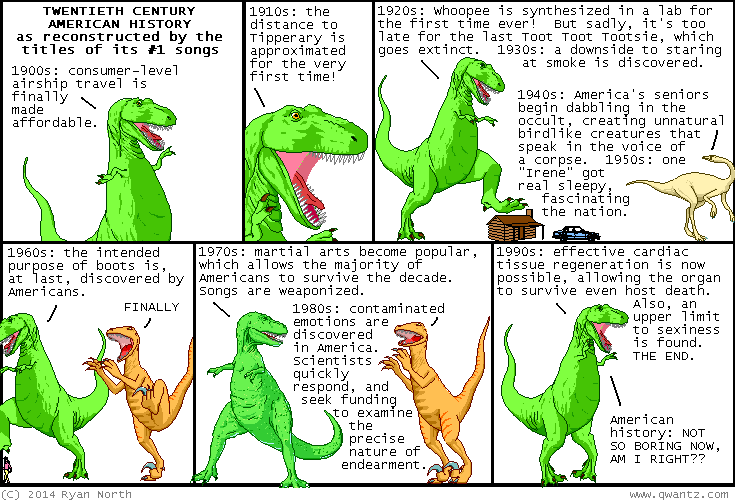 Dinosaur Comics - May 1st, 2014 - awesome fun times! May 1st, 2014: If you want to create the 20th Century History Song List based off of these songs, I think you'd find that a lot of them are actually PRETTY GREAT?? One year ago today: marty mcfly is asked to lift a ten-ton weight. he struggles, but the weight doesn't move. "this is heavy," he says, pointing to the weight. he leaves shortly afterwards.